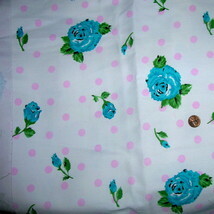 Wonderful vintage heavy weight denim decorator fabric in a floral print on polka dots. The colors are fabulous - pink, green, aqua and teal blue on a white ground. 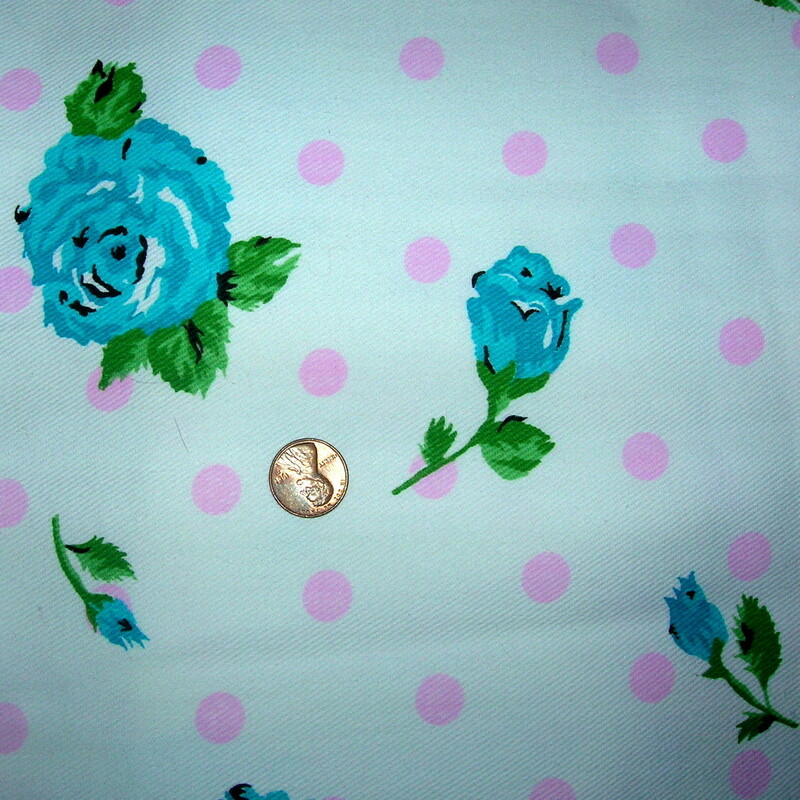 Measures 60 wide by 2 yards.